While I normally love winter and cold weather, I am not a big fan of what it does to my skin. My poor skin has had a hard time keeping up with the dry, very cold conditions, leaving my skin flaking and so dry it hurts! Lately, I have been trying to find ways to make my skin feel amazing and spoil myself during those days where I want to stay inside because it’s so yucky outside. As I was looking into different products, I found the perfect wash for ladies like me who want high quality products on a budget – b-leve Body Washes! 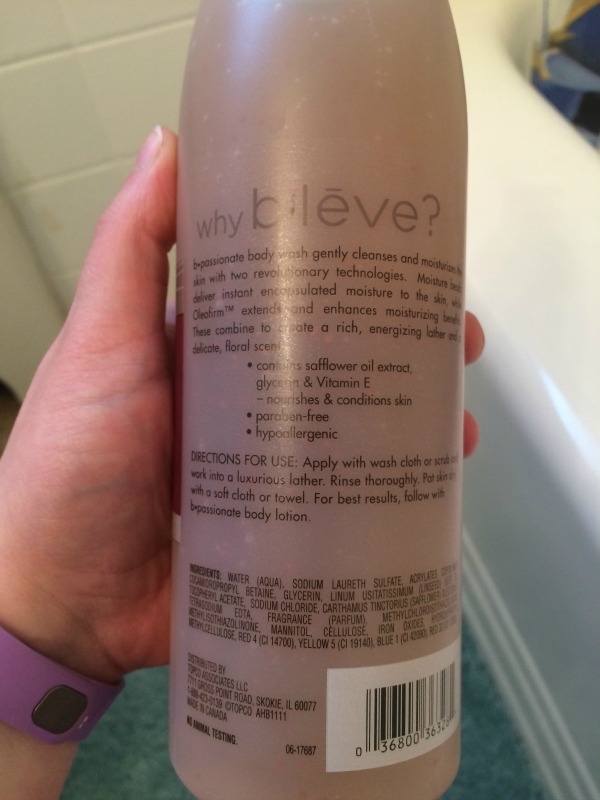 b-leve Body Washes: What is It? Looking for a quality, but inexpensive body wash to spoil yourself with in the shower? If so, we think you will love b-leve Body Washes. Each body wash in the b-leve collection contains Goji Berry extract to provide fortification and antioxidant moisturizers. As well, it contains their own Oleofirm™ technology, which features olesomes derived from tiny mirco-seeds found within oil bearing plant seeds that burst when they make contact with the skin. These capsule like beads help benefit with your skin with a variety of natural moisturizers, as well as gently providing a luxurious experience with your favorite fragrances. As well, their entire line is paraben- and formaldehyde-free, allowing you to truly enjoy a spa like experience at home without the risks! I have to say that this body wash smells absolutely amazing and a little really does go a long way. My entire bathroom smelled like the wash in no time and, thankfully, my husband liked the smell too, since it is very fragrant. Best of all, my skin felt amazing! Keeping my skin moist is a real problem for me during the winter, but b-leve was up to the job and made my poor dry skin soft and smooth. Now, I can’t wait to try out other fragrances in the line. Based on my own experience, I am happy to give b-leve Body Washes an A rating. b-leve Body Washes: Where to Purchase? Want to try this awesome body wash or other products from b-leve for yourself? You can purchase the b-leve Body Wash on their website or find a retailer near you using their store locator. I’ve opened B-leve’s site so I can learn more about this product. I find as I get older, my skin gets drier…especially in the winter! Thanks for the heads up on this product! I’d love to try this. I have dry skin and like using a liquid soap that moisturizes. I’d like to see what scents they offer. Thanks for the link. I would love to try this. I like the liquid soap the best. Thanks for the information. I have dry skin anyway and during the winter months its really dry. The b-leve Body just my be exactly what I have been needing. Thanks for sharing. My skin gets so dry and scratchy during the winter. I could really use this. It’s hard to find one with a scent I really enjoy also, and they have some good ones. My skin is dry all the time but it gets really bad in the winter. I’m always buying new body washes trying to find something that helps. So far I haven’t had any luck, because I’m picky when it comes to anything I use. I will smell them and if I don’t like the scent I won’t even try it. I think I’m gonna have to try this. I’ve never used anything with Goji Berry extract. It sounds really good. Did you get any of those that you tried and/or reviewed?